Found one file extension association related to WorldMate for Android and 1 file format developed specifically for use with WorldMate for Android. 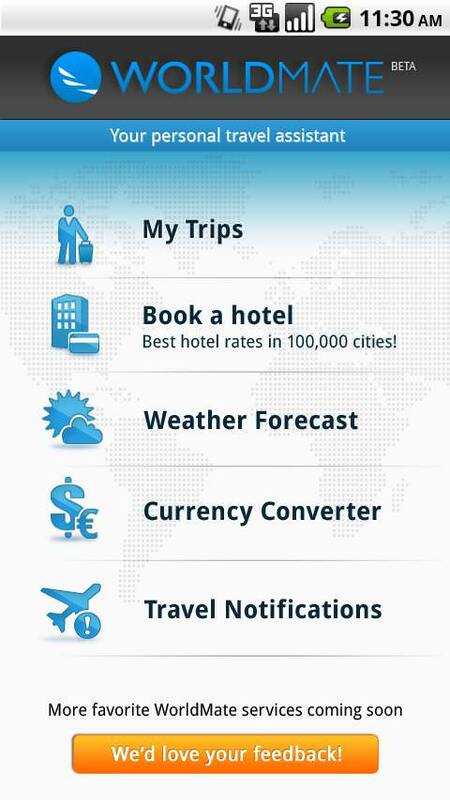 WorldMate app is used to manage your itinerary, organize your meetings, share your travel plans, get 5-day weather forecasts, book your hotel. Use the Personal Travel Assistant to keep you up to date with all your flights, meetings and bookings, all on your Android phone! If you need more information please contact the developers of WorldMate for Android (WorldMate Inc.), or check out their product website.